Large grub screw, 4mm diameter x 3mm high for template cutters. The large grub screw is 4mm diameter x 3mm high. See item G in the main image and the legend. The large grub screw holds the collar onto the shaft of the cutter. It fits later model A10 cutters. 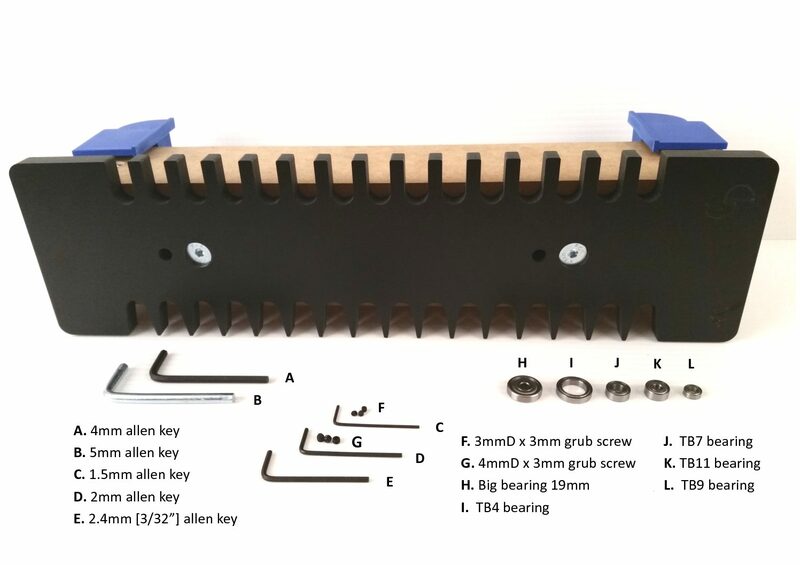 Eventually all template cutters will have the large grub screw…easier to handle, and hopefully, easier to see! The 2mm allen key fits the 4mm x 3mm grub screw.